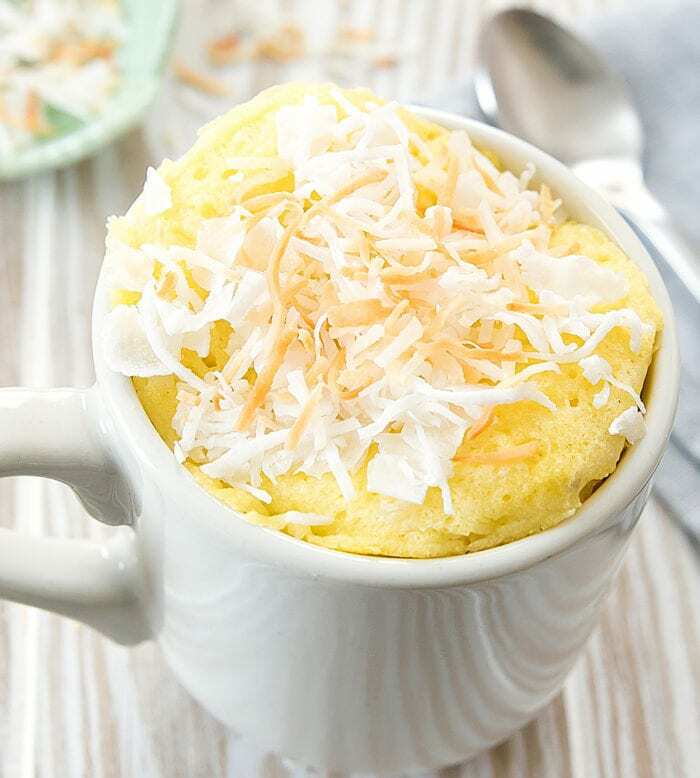 This single serving, fluffy coconut mug cake cooks in the microwave in less than two minutes. 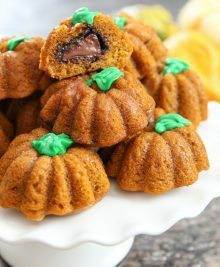 The cake is also wheat flour free, paleo, and gluten free. I’m so happy to hear that many of you are enjoying my paleo mug cakes. So far I’ve shared a paleo blueberry almond mug cake and a paleo chocolate mug cake. 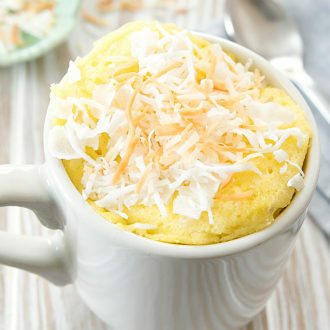 Today I’m sharing a paleo coconut mug cake. 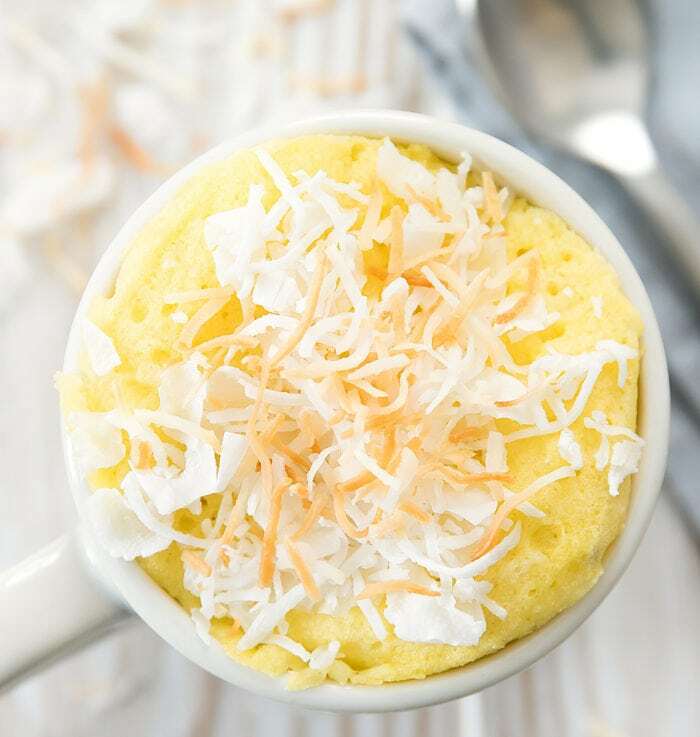 Many paleo recipes use coconut flour as a substitute for wheat flour, so creating a coconut mug cake just made a lot of sense to me. 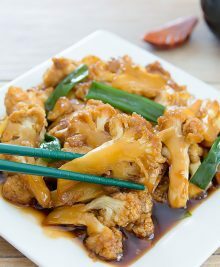 While I’m usually trying to hide the coconut taste from using coconut flour, this recipe embraces the coconut flavor. I love all things coconut, so this was a lot of fun to recipe test. I also like that coconut has a natural sweetness, so you can reduce the amount of sugar you add to the mug cake. Almond flour is not a substitute for coconut flour in this recipe. It isn’t just about flavor. Coconut flour absorbs liquids in a way that almond flour doesn’t. I use this brand* of coconut flour. Recipe now updated with video! You can also find all my recipe videos on my youtube channel. 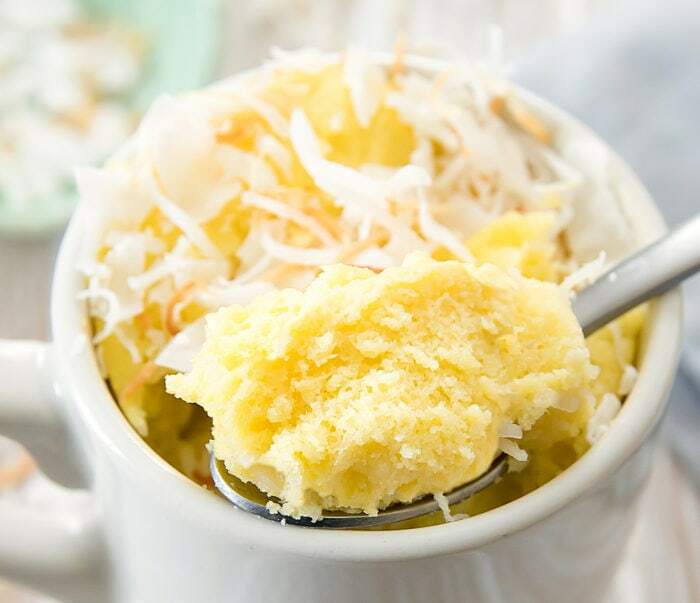 A fluffy coconut mug cake that cooks in the microwave in less than 2 minutes. In a large oversized microwave-safe mug (16 oz – 20 oz), add all ingredients except shredded coconut. 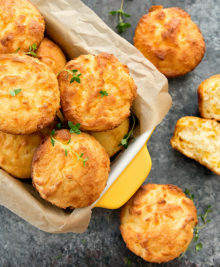 Mix with a small whisk until batter is smooth and egg has been completely beaten in. Stir in 1 tbsp of shredded coconut. Cook cake in microwave at full power for about 1 minute 30 seconds. Cake will initially rise very high before sinking back down when it stops cooking. Allow cake to cool a few minutes before eating. If you want a nicer presentation, you can remove the cake from the large mug and place it into a smaller (around 8 oz) mug. Garnish with more shredded coconut if desired. I topped mine with a mix of unsweetened toasted shredded coconut and coconut flakes. I use this brand* for my coconut flour. To keep this recipe paleo you need to use coconut oil. If you are using solid coconut oil, measure out 1 tbsp and then melt in the microwave until liquid. Please review detailed recipe tips right above the recipe box. Love the small individual cakes. I do not use microwave. What would be appropiate oven temperature and baking time? I made this with 1/2 tablespoon of maple syrup and added 1/2 tablespoon more coconut milk. It was the perfect sweetness! Thank you so much for this recipe , it’s by far the best coconut flour cake / cupcake recipe we’ve tried so far. I made it in the oven and replaced the coconut milk with almond (to tone down the coconut flavour ) and doubled the mug cake recipe to make 4 100ml cakes in individual ramekins. I baked it at 150° C for 20-25 minutes and the resulting cakes were fantabulous. Also topped it off with vegan caramel (made from almond nut butter and coconut sugar) . I’m glad you got this to work for you! Thank you for this! I am so happy with the results. I am on a very strict diet for my 11 week old baby (dairy free, gluten free, egg free and nut free) and have been craving sweets and carbs nonstop. I just substituted the egg for a chia seed “egg”. I didn’t add the coconuts flakes because I didn’t have any but I paired it with coconut milk vanilla ice cream and I felt like I was having birthday cake. I’m glad this turned out well for you!